Regardless of how committed you are to your oral health regime; brushing, flossing and regular professional care, sometimes decay can sneak in and a cavity will form in your tooth. When it comes to filling a dental carie, or cavity, at Sana Dental in Edmonton, we prefer white dental fillings. Regardless of how committed you are to your oral health regime; brushing, flossing and regular professional care, sometimes decay can sneak in and a cavity will form in your tooth. When it comes to filling a dental carie, or cavity, at Sana Dental in Edmonton, we prefer white dental fillings. Why? Amalgam, or silver fillings have been used successfully in dentistry for decades. The trouble with amalgam fillings is their content. As their name implies, they are made up of a mixture of metals including tin, silver, copper and mercury. While some people consider the mercury content risky or toxic, the true disadvantage to metal fillings is the property of the mixture. Because metal expands and contracts, over time gaps and cracks can form between the filling and your tooth, opening the door for bacteria and decay to set in. Composite, or white fillings are made of a blend of tooth coloured plastic and glass. In the early days, resin compound fillings weren’t deemed strong enough to withstand the high-pressure grinding and chewing of back teeth. Today, the materials used in what some call “metal free fillings” has improved enough to allow the use of resin material in posterior, or back teeth. For larger problems, porcelain fillings, known as inlays or onlays may be recommended. Porcelain is an extremely strong and stain resistant material. Porcelain restorations are custom-made in a lab, then sent back to be fitted. Because of the extensive work and extra steps, porcelain fillings usually cost more than white or amalgam teeth fillings. However, the end result when using porcelain is stunning. Should you replace your old metal fillings? 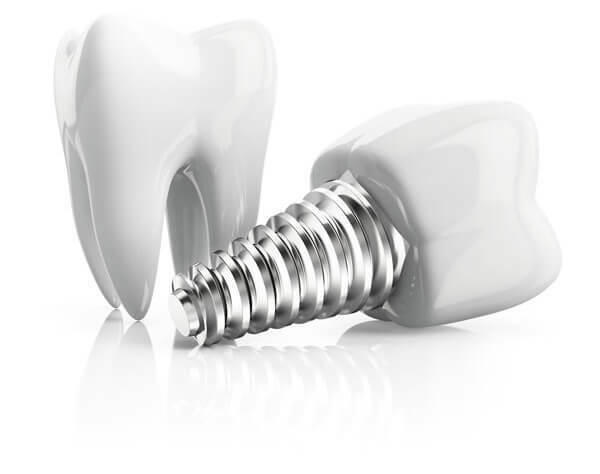 Cost: Replacing a metal filling does have a cost attached – one that your dental insurance may not cover. The drill factor: The removal of an old filling requires the oft dreaded dental drill and, in some cases, the removal of healthy tooth structure. The state of the metal filling: If your old filling is in good shape, it may be a good idea to consider leaving well enough alone. If you see gaps and cracks in or around any fillings though, it’s time to take action. Any chinks in the armor of your dental restorations can let decay and bacteria in. To make the best decision on what to do with your old metal fillings, your best bet is to discuss the matter with your dentist.